This is good, but it doesn’t capture the complexity of such things as repeated traumatic experiences or the effects of prolonged stress and trauma (that might not meet the levels described in the above definition) on the mind and body. Trauma often results in over-activation of the amygdala and limbic system in the brain, thus preventing the cortex from “coming online” and properly processing (making sense) of what happened. When this occurs, the events tend to live in our bodies and working memory and color much of our present experience despite how much time may have passed. 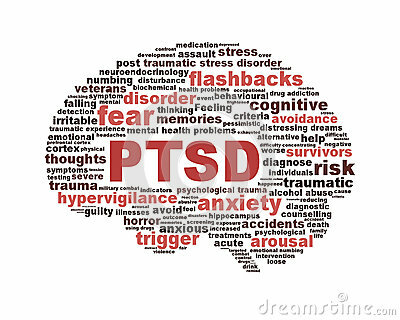 In some cases, flashbacks (reliving past traumatic experiences as if they were happening in the present) or dissociation (mentally withdrawing from the present in some fashion to avoid pain) can occur. With this system the client is stabilized and prepared for the work of processing the trauma. This increases the chances of successful movement of the traumatic experiences of the body and lower levels of the brain to the cortex where they can be made sense of. The client goes from re-experiencing the trauma to being able to look at it as if watching a movie…unpleasant but without the overwhelming emotional and somatic experience. In the case of trauma and children, I use a family or care-giver centered approach, but maintain the same structure as noted above. The goal is to prepare the child and his/her caregivers to deal with and manage the traumatic memories but then be able to move on in a healthier manner as individuals as well as a family-unit. This approach has been particularly effective in helping families dealing with reactive attachment disorder with foster or adopted children. To learn more about my trauma-treatment services or to schedule a consultation, please click the “schedule appointment” button to the right or call 484-693-0582.